Making your party something unforgettable Call (305) 517-7211 and receive the best service in town. 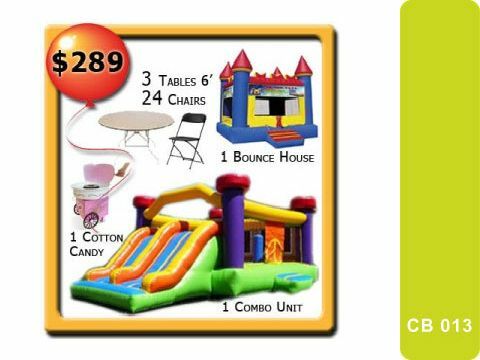 Water Slides, Bounce Houses, Bouncers with Slide, and much more at the right price. Serving Miami-Dade & Broward County. Call Now ans ask for our weekly specials. 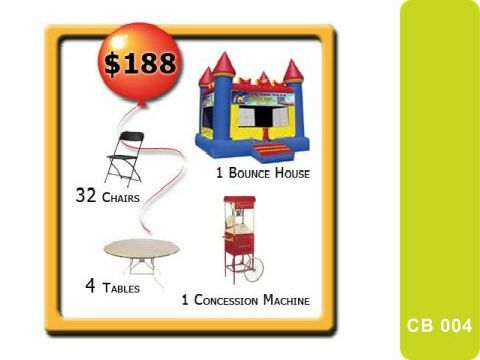 Why rent from our party rental company? We have been providing high quality, clean, and safe inflatable rentals. 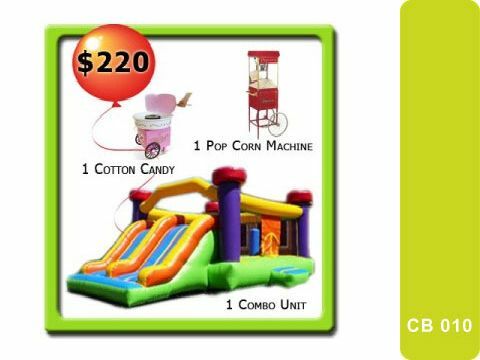 Our jumper rentals provide hours of fun and entertainment no matter what the age group or theme of the event. With over 70 different types of bounce houses to choose from, we are sure to have inflatable interactive games that are just right for your occasion. 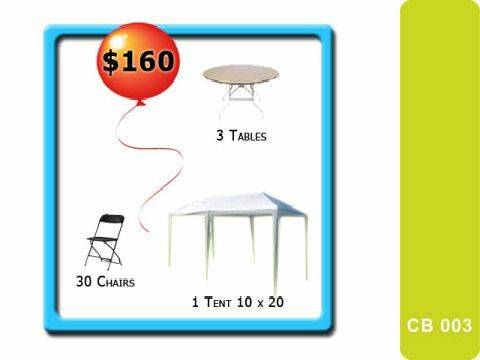 Our party rental specialists have years of experience to help make your event or party a big success. Great Selection of Shapes, colors and themes. The best of two worlds in one package, slip & jump. Can be used with pool or without it. Face Painting, ballons. Clowns at the party. 60 FREE Serving are included. Special !!! Relax at home while we decorate your space. Enjoy Shade and Protect your party from weather. 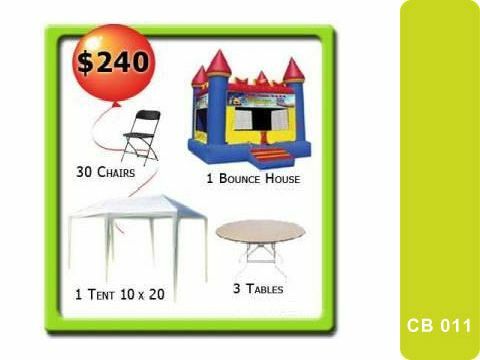 ©2016 Party Rentals in Miami Florida.